Well, I finally did it. 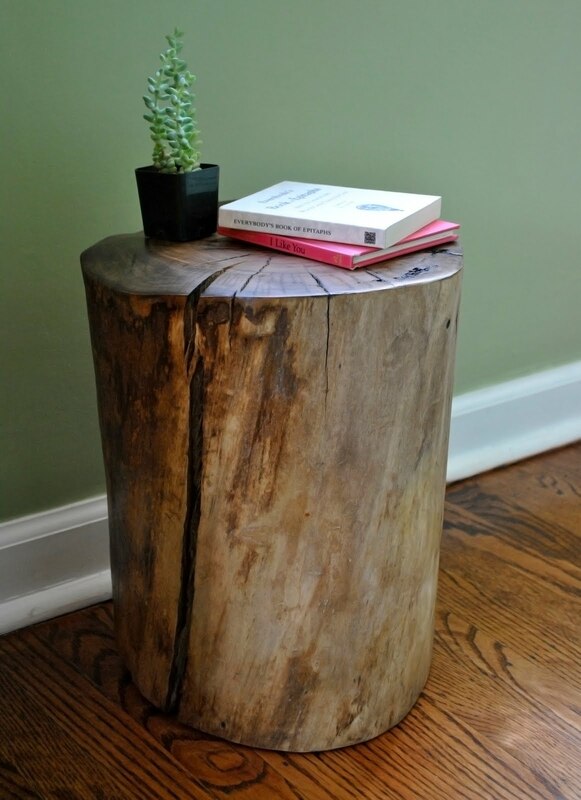 After being obsessed for months with the stump tables that have been popping up all over the place, I made one of my own from a free Craiglist log. Dare I say I am totally in love with this thing? Even though I don't really know where to put it in our tiny house? Making it wasn't so much hard as time consuming and messy: lots of elbow grease, lots of patience, lots and lots and lots of sanding. Did I mention the sanding? There was quite a lot of it. But the thing is a beaut, so in retrospect it definitely seems worth it.